The recipe for our garlic flavored fried chicken and inarimeshi main combo is over 50 years old. Both inari and fried chicken go great together, making for a satisfying taste. We recommend you dig in and eat with your fingers. 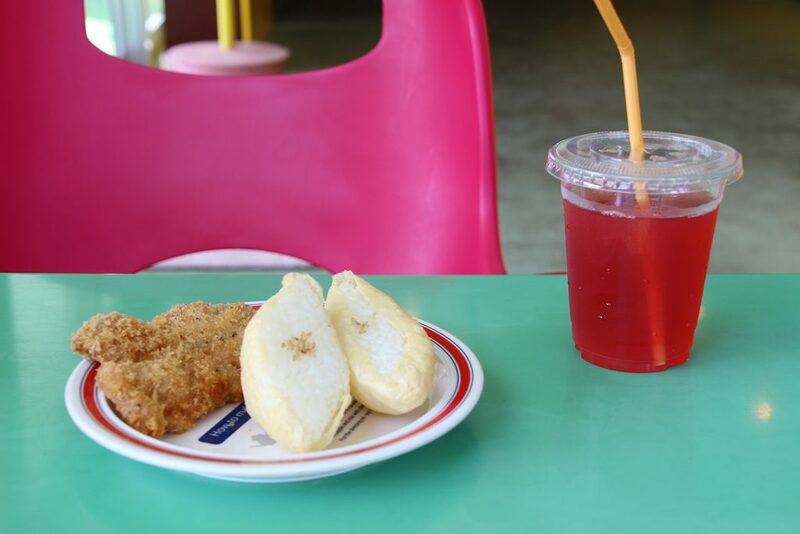 Enjoy our gourmet inari and chicken combo!! Get a valuable combo as a set, with a Nikoichi drink for 390 yen! We recommend our first timers to try our 390 yen set. You can choose any drink but we highly recommend our sweet and sour hibiscus tea set for a meal or even when driving. You can try our 2 piece inari and 1 piece chicken for you and your friend. We hope that one day Inarimeshi will become a popular Okinawan food, joining the ranks of Okinawa soba and Tacorice. There is only one table in the eat-in-space area of the shop. However, we are close to the park and the beach so it is perfect for take-outs. We are conveniently located in Ginowan by Okinawa Route 58. Our adorable and lovely gift food set is very popular at any gathering. This shop opened in Ginowan in 2010; another shop opened in Naha. While taking advantage of the "friendliness", it became a food gift shop. If you want to give them as a gift, we conveniently pack them in cute gift boxes. 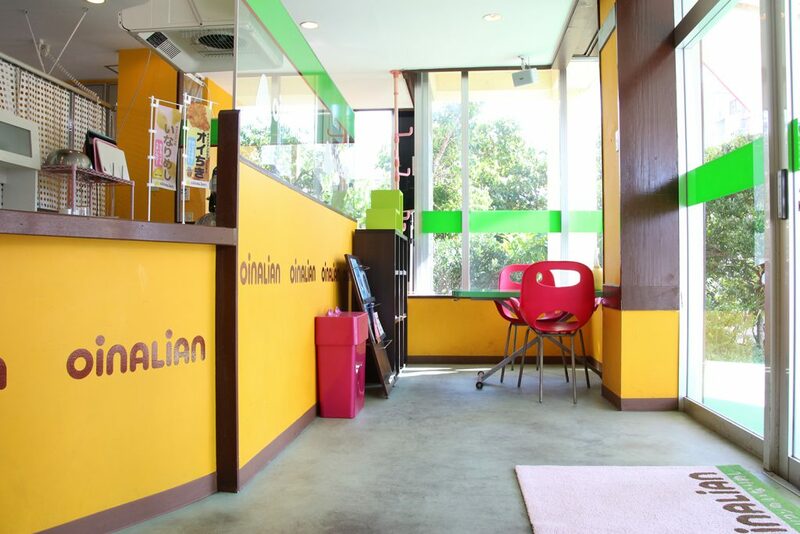 Our shop has a catchy color which exudes a cute cake shop atmosphere. It is a real pleasure to eat with whomever at Oinalian rather than eating alone! We use our usual ingredients and materials for our "inarimeshi". First, we gently wash the special A rice from Hokkaido and cook it traditionally over a long period of time. Then we take it to the same factory used for frying tofu using our soybean product called Fukuyutaka. It has a good quality of soybeans for deep fried tofu. Finally, we use domestic organic roasted white sesame and make our excellent inari one by one by hand. Since Okinawa has a unique history and culture, there are many traditional events throughout the year, which bring many relatives together. Oinalian caters to these traditional events. Even if you order the day before, we are proud to serve you an order of 100 pieces the next day. In a world in which food trends change dramatically and rapidly, we want people around the world to try our inari and chicken combo. Its taste remains unchanged. 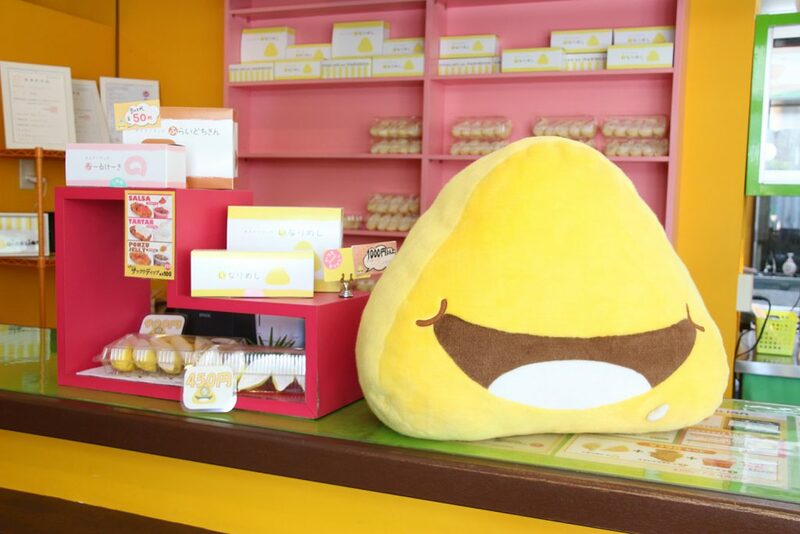 Oinalian's dream is to put a smile on everyone`s face. Garlic flavored chicken with an evolved taste! Buy 3 or more pieces of chicken, and get a free dip of your choice! TOP > Gourmet > Loved by the People of Okinawa! Inari and Fried Chicken, Oinalian’s Famous Food Combo!